Chief rabbi in the margravate of Ausbach, with residence at Schwabach, 1709-13; died in prison 1723. 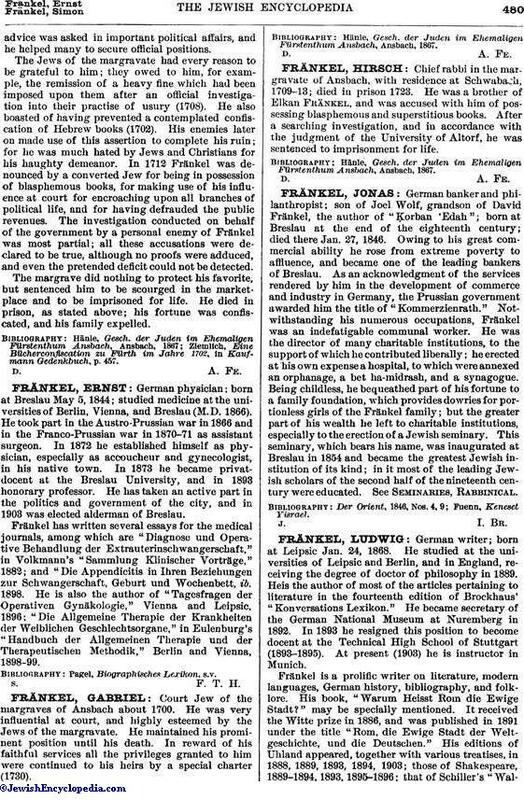 He was a brother of Elkan Fränkel, and was accused with him of possessing blasphemous and superstitious books. After a searching investigation, and in accordance with the judgment of the University of Altorf, he was sentenced to imprisonment for life. Hänle, Gesch. der Juden im Ehemaligen Fürstenthum Ansbach, Ansbach, 1867.